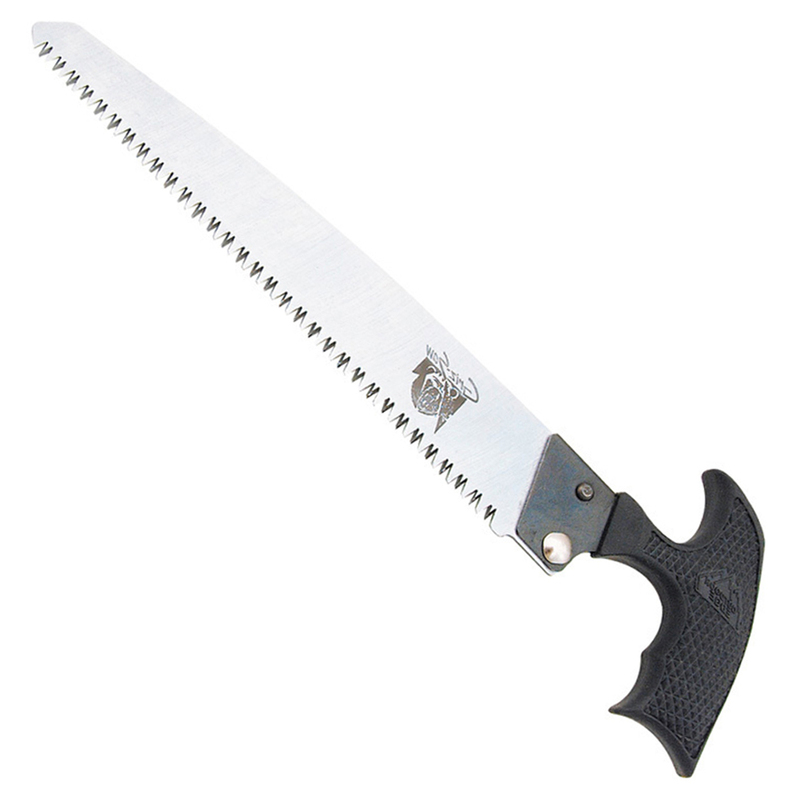 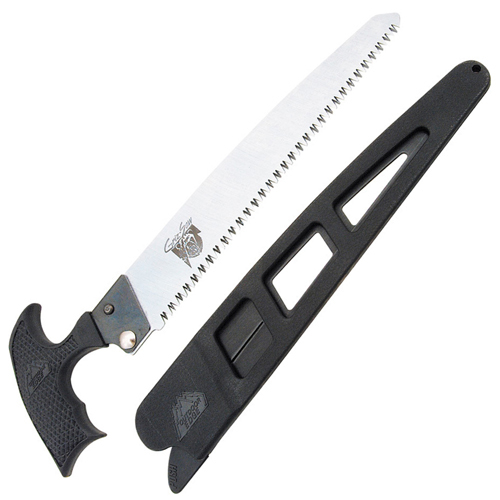 This practical field saw features a T-shaped handle to allow comfortable straight wrist cutting from any angle, which reduces fatigue during long use. The 8-inch 65Mn spring-steel blade with triple ground teeth creates an aggressive cutting edge for penetrating tough bone and wood. The Griz-Saw comes complete with a locking, quick release, Zytel sheath with swivel clip attachment.